IMPROVING STORAGE AND SPEED FOR THE BUDGET GAMERS! Whenever we think about upgrading our PCs or assembling a new rig and calling it our own, we always ask ourselves “How do we go about this?”. As gamers, we’d definitely want to ensure that performance and speed are up to our standards. And when it comes to storage, there are many options we can consider to maximize our budget while having more pros and almost zero cons. People would usually tell you to go for an SSD + HDD combo for your build, they aren’t wrong. But if it’s already out of your budget scope or you prefer a different approach, there’s another right answer that might fit your needs. You can opt for a Seagate 2 TB BarraCuda HDD + one of Intel’s newest released technology for 2017 – the Intel Optane. A few days ago, Seagate sent me their 2 TB Barracuda HDD paired with the Intel Optane for testing. Using an MSI System, we will see if this pair could be at par with SSDs. As a person who uses an SSD + HDD build everyday, I could easily gauge and feel if it’s taking a while to boot or load a game. Well, aside from taking down timers, of course. So why get the Seagate 2 TB Barracuda HDD + Intel Optane? Take note that you can pair the Intel Optane with any of Seagate’s Barracuda HDD series if you want to opt for something more in terms of capacity. 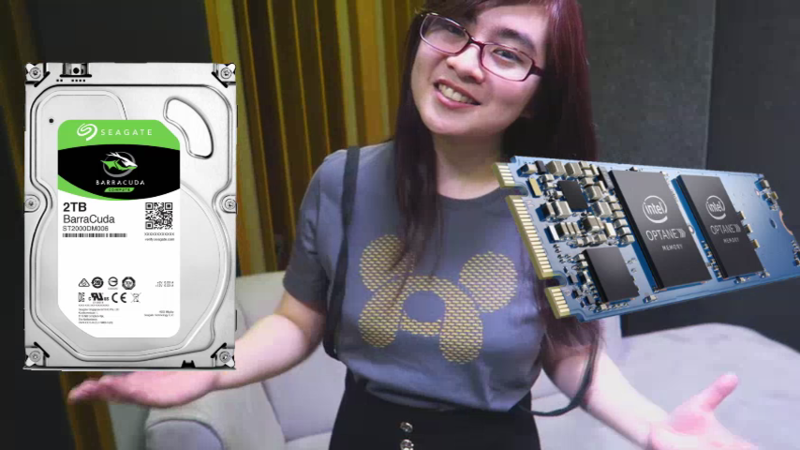 The Seagate 2 TB Barracuda HDD was just a sample sent for testing. Based from what I’ve read and tested, if you’re on a budget yet need a huge storage for your games, files, softwares, etc. and have an overall improved system performance compared to setups with vanilla HDDs or if you’d like a system that could be similar to SSDs but with more capacity, I suggest to go for this build. Shoutouts again to Seagate for sending these units over for testing the upgrades first-hand! Like my Facebook page or follow me on Youtube to see more content like these!